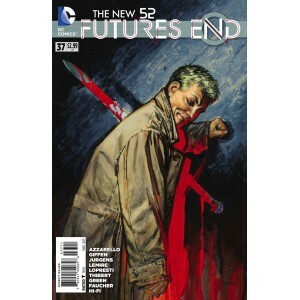 Accueil>DC COMICS>FUTURES END 37. DC RELAUNCH (NEW 52). 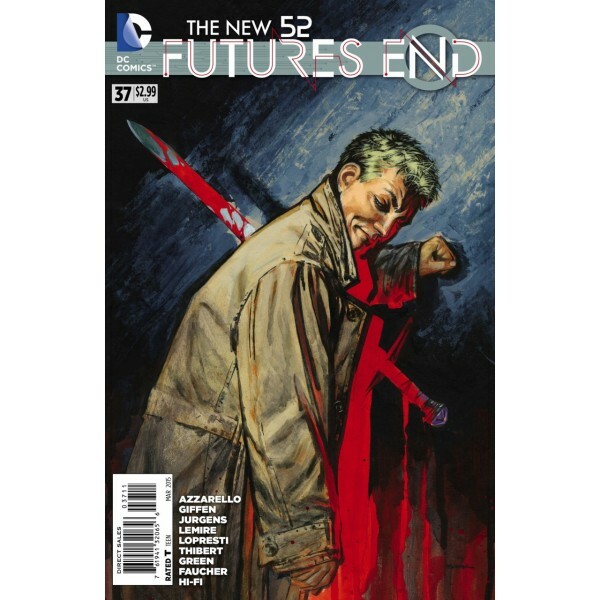 FUTURES END 37. DC RELAUNCH (NEW 52). Written by: Keith Giffen, Dan Jurgens, Brian Azzarello and Jeff Lemire. Art by: Aaron Lopresti and Art Thibert. The War changed everyone, and not for the better. After last issue's shocking ending made one hero a murderer. Find out how far Constantine went to win. And how Amethyst lost her magic! Don't miss the return to Gemworld. WE HAVE OVER 50 000 BACK ISSUES. RARE, NEW and VARIANTS. TRADE PAPERBACKS. HARD COVERS. ART BOOKS. SKETCHBOOKS. DC, VERTIGO, MARVEL, IDW, IMAGE, CHAOS, DARK HORSE, BONGO, VALIANT, INDEPENDANTS, AND MANY MORE. 1 FRANC. 1932 MORLON BRONZE. LILLE COLLECTIONS.